This exhibition ran from 22 May to 6 September 2015. The exhibition was jointly curated by Richard Gaunt (Associate Professor of History in the School of Humanities) and Manuscripts and Special Collections at The University of Nottingham. The exhibition, timed to coincide with the bicentenary of the Battle of Waterloo, reflected on the later stages of the Napoleonic Wars, which were fought between Britain, France and their allies from 1803, and which came to an end with the Battle of Waterloo on the 18 June 1815. The exhibition focused on the period from the Peninsular Wars in Spain and Portugal in 1808 to the end of hostilities seven years later. Drawing on the material from The University of Nottingham's collections, the exhibition assessed the nature and impact of the war and its consequences. The displays described key moments in the conflict, charted the rise to prominence of military commanders such as the Duke of Wellington and revealed Nottinghamshire's contribution to the war effort. The exhibition also explored the wider legacy of the wars. 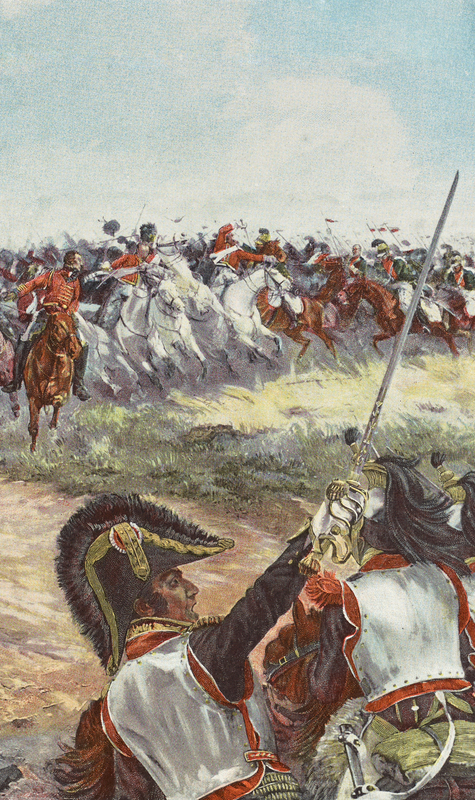 In Spain, British forces fought alongside those seeking liberation from foreign conquest. In Britain, the return of peace was accompanied by new demands for political and social change. The exhibition boards focused on the British response to the Napoleonic Wars, telling the stories of local people who fought abroad, and describing the formation of local Volunteer forces to defend the United Kingdom against invasion. They also recalled various later efforts to memorialise the Wars by the creation of detailed plans, artworks, and models. A well constructed exhibition as always. More please. Really enjoy visiting these exhibitions on my lunch break. A great exhibition – education and accessible.